January 26 is a day to remember Australia’s history – the experiences of our Indigenous people and of the immigrants who chose Australia as their home – and to celebrate what it means to be an Australian in all its diversity. We’ve put together a list of primary and secondary Reading Australia books perfect for students to reflect on this Australia Day. 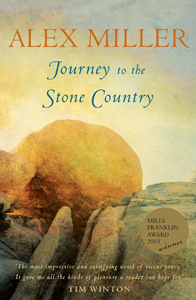 Journey to the Stone Country is a love story between an Aboriginal man and a white Australian woman. It explores the importance of acknowledging the pain and bloodshed of Australia’s history, in particular the history of black and white relations, in order to reach understanding, love and respect. 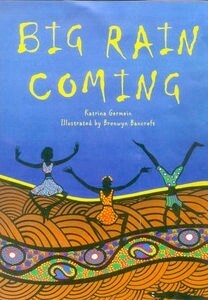 Big Rain Coming is set in the outback where a remote Aboriginal community, at the end of dry season, is waiting for the rain to come. This picture book is illustrated by Bronwyn Bancroft, an Indigenous artist and illustrator, and she depicts the richness of the Aboriginal culture. The Arrival is a graphic novel that tells the universal immigrant/refugee story of a man leaving his family and all things familiar to him to travel to a strange, lonely land. The story is told entirely through images, the perfect way for readers to experience loss of language. My Place is the history of one particular piece of land from 1788 to 1988, told through the perspectives of the different people who lived there. From the first people, to white settlers, to the children of migrant families, this book highlights the similarities that unifies us as Australians. 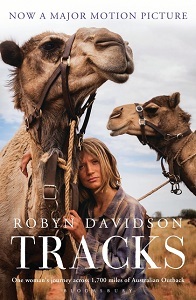 Tracks is Robyn Davidson’s record of the 1,700 miles she trekked across the Australian desert – surviving the heat and poisonous animals, and caring for her companions, four camels and a dog. In this memoir the Australian landscape is transformative, inspiring – a character in its own right. 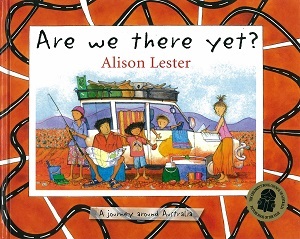 In Are We There Yet?, a picture book about a family going on an adventure around Australia, readers journey to along the coast, spot wildlife and dip down to the heart of the country, Uluru. Alison Lester celebrates the beauty, diversity and vastness of the Australian landscape.